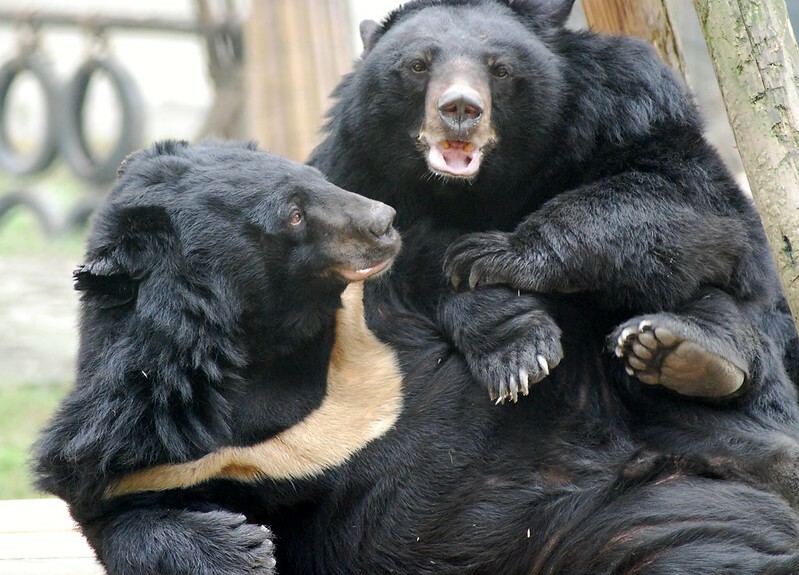 Moon bear Mandela is a true survivor. He suffered unimaginable cruelty on a bear bile farm in China where a metal tube was inserted into his abdomen allowing the bile to constantly drip out for use in traditional medicine. It is unknown how long Mandela was “tapped” for his bile in this way, but he certainly spent many years almost completely immobile in a tiny cage – he was merely permitted to eat and breathe. 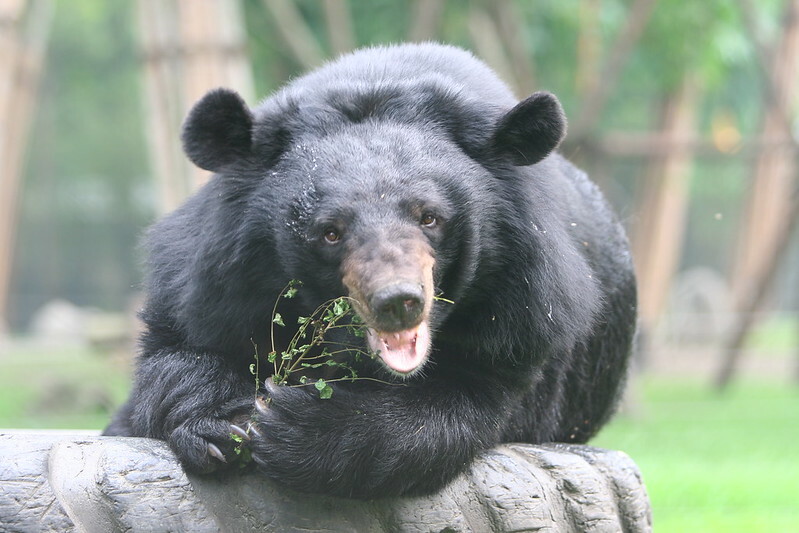 Thankfully he was rescued in 2005 and since then has peacefully lived out his days at Animals Asia’s China Bear Rescue Centre, where he was adopted by famed primatologist Dr Dame Jane Goodall DBE. But in January, Mandela’s carers feared his time had come. 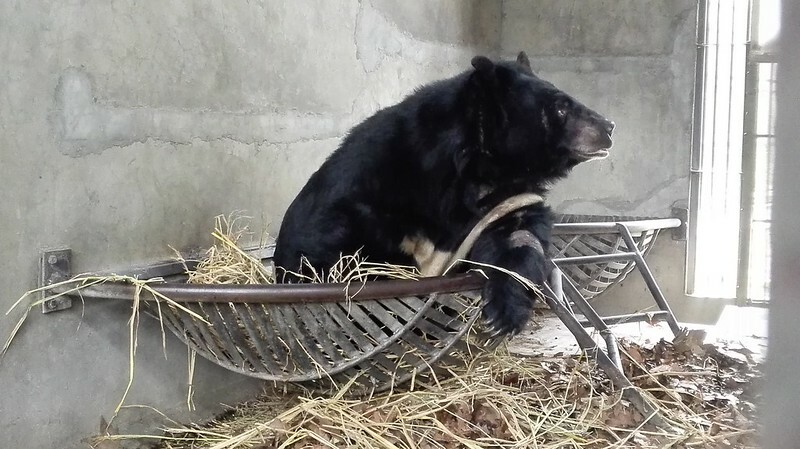 The 200kg bear stopped eating, refused medications and was clearly struggling to stand. An emergency health check revealed a disc in his spinal cord had collapsed and was causing the nerves within to be compressed. “The pain was clearly unbearable and as a result, Mandela’s gastrointestinal system had gone into shock and stopped functioning. He was unable to pass any solids and at this point I feared he wouldn’t survive. For the next two weeks Mandela was hospitalised and kept on strict cage rest. He was nursed round the clock and had to be spoon-fed, while a medication regime was drawn up. Amazingly, rest and anti-inflammatory medication allowed Mandela’s spinal cord to recover and nerve function to return which in turn enabled him to regain function in his gastrointestinal system. Once vets were sure of Mandela’s ability to stand, walk and sit up without pain, he returned to a den with specially modified furniture for infirm bears. 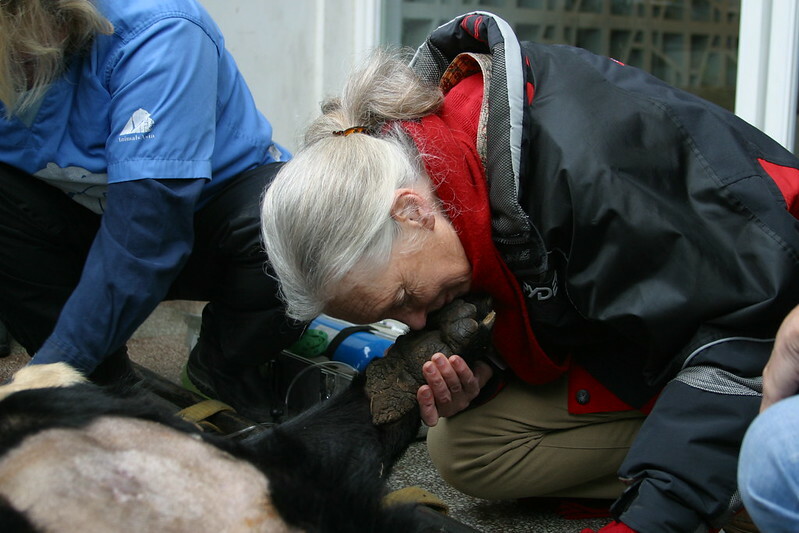 Although Mandela’s condition has improved enormously he still has difficulty walking and vets believe it may take many more months before full normal function returns – if it ever does. From now on, Mandela will always be at risk of this injury reoccurring but with appropriate management vets believe he can live a relatively normal bear life. 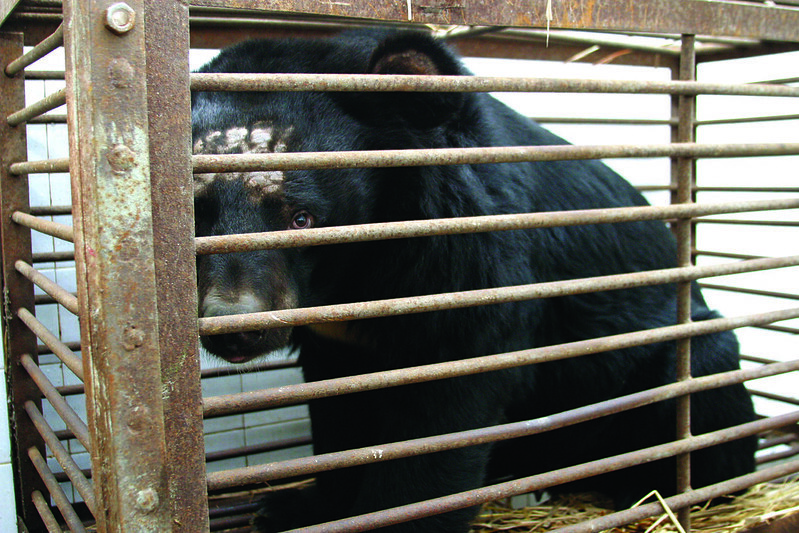 Animals Asia has rescued more than 600 bears – mostly from the bile industry – in China and Vietnam. 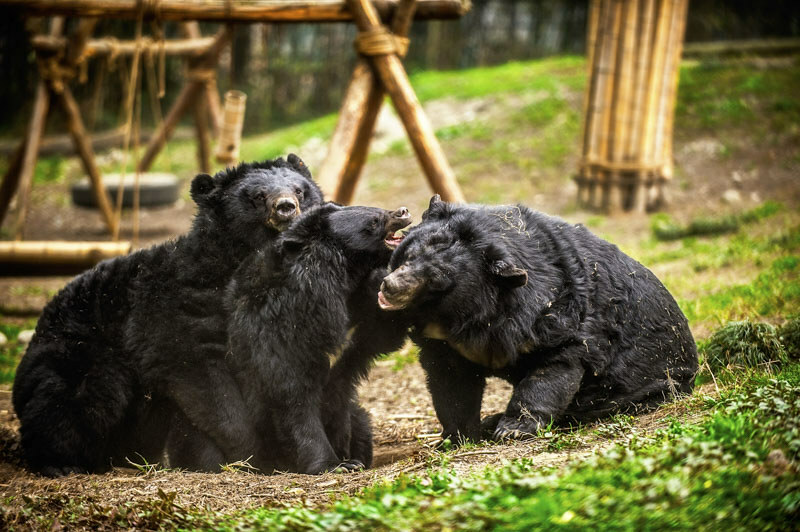 Today, 380 bears continue to live out their lives at Animals Asia’s sanctuaries.